A mountain bike could be great present for your school going kids. Not only it provides the great conveyance facilities for shorter distances, but it is a full time body exercise as well. So this is always a good feeling to have a good mountain bike. But being a slim object, it always lacks some efficient storage capacity. Like you are going for window shopping, you won’t be having some sufficient space for your shopped items to be hanged on the bike. This issue is also fixed by the wood pallets. 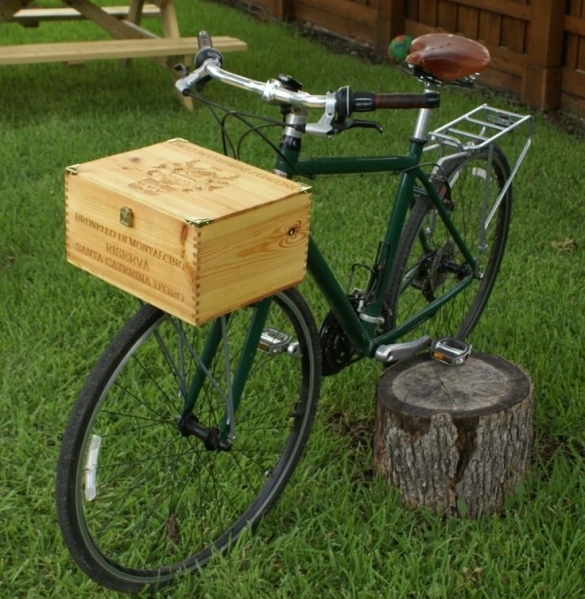 We are presenting some sleek and smart bike pallet storage ideas here in this article. 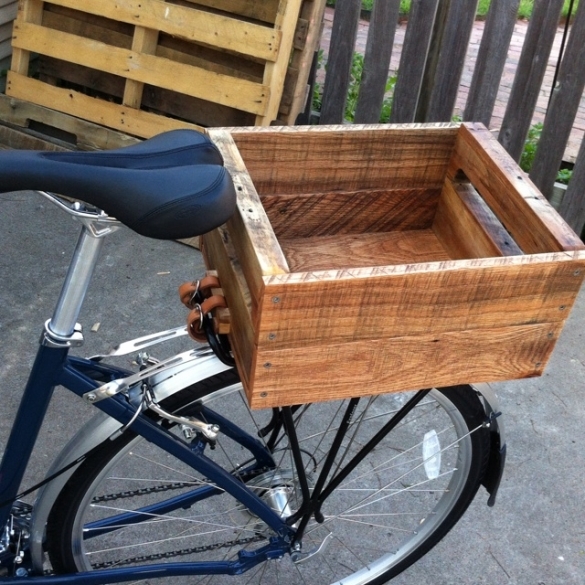 This is a simple yet spacious wood pallet box installed on the rear or back seat of a slim mountain bike. We have connected it with the bike using some fine leather stripes or belts so that it stays intact with the bike and does not fall. 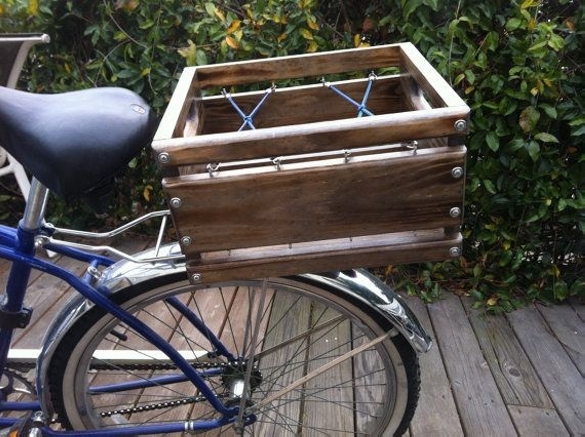 Here is small closed wood pallet box installed on the front space of the mountain bike. So this makes it a perfect carrier for some documents or some other accessories you might be intending to take with you while riding the bike. Open and close the box with built in door at any time with ease. Here comes again a vintage mountain bike fully equipped with some additional storage space in the shape of this wooden pallet box that is pretty open. 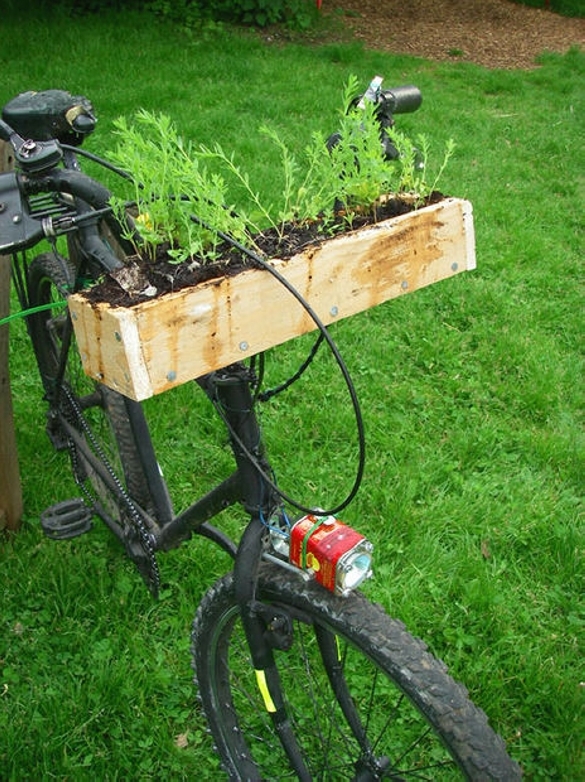 You can again use it as an efficient carrier while bringing home some fresh vegetables or fruits. You can simply extend the size of these wood pallet storage boxes according to the anticipation of expected loads or burden you are going to carry in the future. 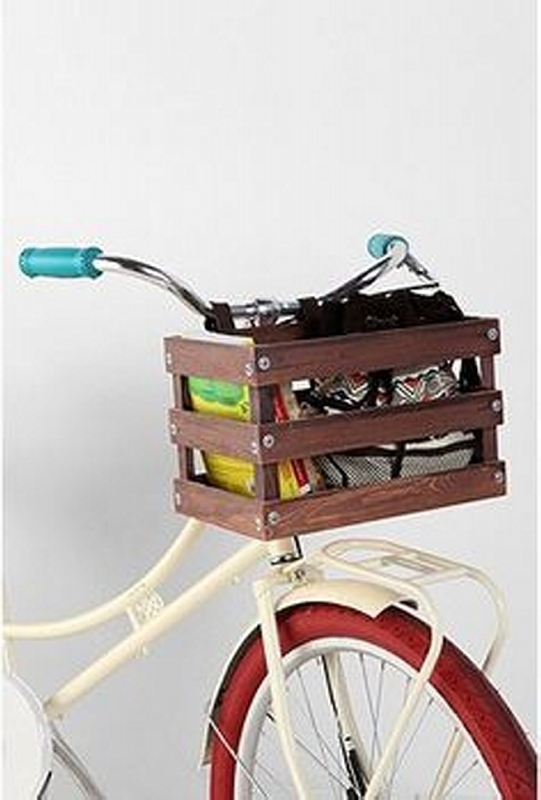 Just make sure the strong attachment of these pallet wood boxes with the bike. Now this one is pretty enough to carry some kilos of some commodity. 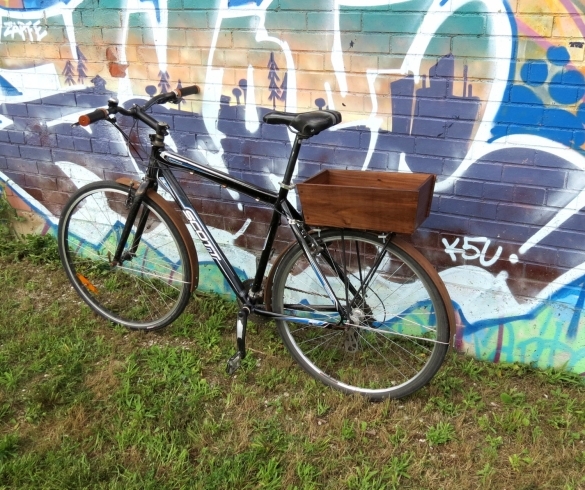 This is a bit modern storage pallet wood bike box with some modern modifications. It has got the nylon ropes crossed all across which would ensure the safety of the product you are carrying and would prevent them from falling out. 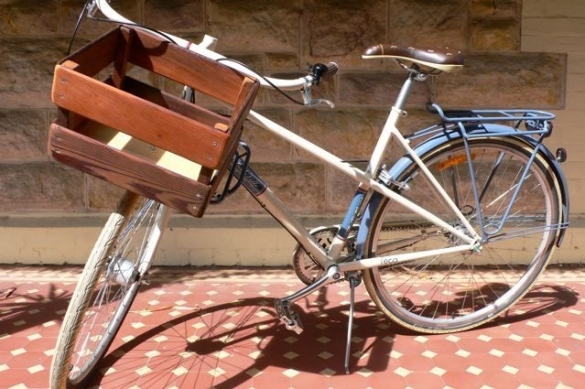 While at the end, there is a matching wood pallet storage white box on the front of a bright white stained mountain bike. This seems like some romantic vehicle especially designed for some couple, they can carry some green foliage or some bouquets in this wooden storage box. 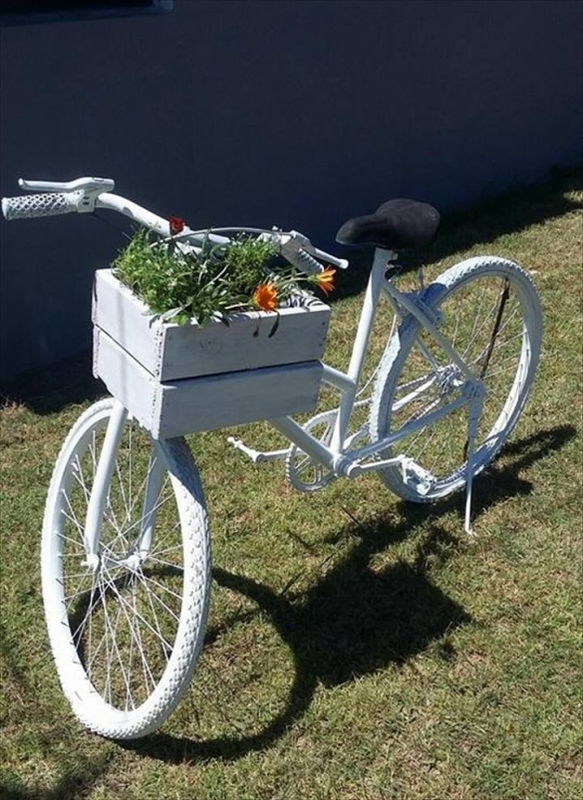 Use it as a carrier of some fresh cut flowers for your beloved.